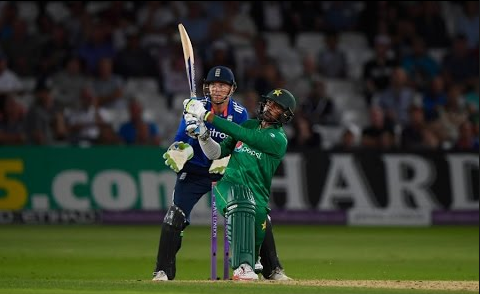 England squared off Pakistan in the third One Day International at Trent Bridge. The encounter saw several records being broken with Mohammad Amir stealing the limelight for the visitors who suffered heavy defeat. He saved Pakistan from suffering their biggest margin defeat by spectacularly smashing a fifty. Along with Mohammad Amir, few other number 11 batsmen have performed great in order to save their country from suffering heavy loss or to extent lead for their side. England stacked up an amazing 444 score in the third of the five match ODI series. However, Mohammad Amir stepped up in the right time when his side needed most. The top order batsmen failed miserable and Pakistan was about to suffer their heaviest defeat but Mohammad Amir unlocked his batting skills at Trent Bridge. Amir smacked 58 from 28 balls and topped the table for most runs by a number 11 batsman. He cracked five fours and four sixes during the stint. The youngster bagged the fastest half century off 22 balls at this position and jolted down an amazing strike rate of 207. Even though the Greens lost the match but Amir won the hearts of his nation. The second highest scorer at number 11 is also from Pakistan. The fastest bowler of the world ShoaibAkhter displayed brilliant batting skills in Cape Town. The opponents were once again England as Shoaib smashed 43 runs from 16 balls. He hammered five fours and three sixes and became the highest scorer from his side at Newlands. Pakistan eventually lost the match by 112 runs in the group matches of ICC Cricket World Cup 2003. South Africa’s star bowler comes in the third place for most runs scored by a player at number 11 position. He posted an unbeaten knock of 42 from 35 balls and helped his side record a total tally of 186 runs against New Zealand in Napier. He was the second highest scorer from his side at McLean Park with Prince recording 47 as the highest scorer for the Proteas. Ntini had a strike rate of 120 in the match but the failure of top order batsmen caused South Africa to lose the match. He smashed three fours and two sixes during his best batting innings. India penned down 262 against West Indies in the group stage match of the Prudential World Cup at Old Trafford. The specialist batsmen of the Caribbean side failed to deliver in Manchester. 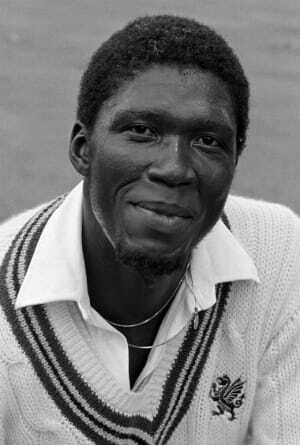 However, the number 11 Joel Garner helped his side to chase the target. He managed to record 37 which was the joint highest scorer for his side. Garner eventually lost his wicket towards the end but led a good fight-back for his side. Standing at fifth for the highest score for number 11, Peter Ongondo clicked at the right time when his team failed miserably against West Indies at Nairobi. The Kenyan no 11 Ongondo was the leading scorer for Kenya in the 2001 encounter. He posted 36 runs from 42 balls and registered a strike rate of 85.71. He cracked two fours and a single six en route to his memorable innings of 36 runs. Kenya eventually suffered a six wicket defeat but Ongondo helped them set a target of 192 runs at Gymkhana Club Ground.